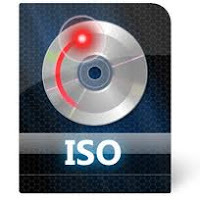 To burn an ISO Image File, you can use k3b, beside Nautilus File Manager. With k3b, you can check MD5SUM directly. To do this, follow these steps below. 1. Insert a blank CD disc. 2. Open k3b with choose Menu Applications -> Sound & Video -> K3b. (better 24x), and Copies = 1 (depend on) -> Start. 4. Wait until process done. 1. Insert a blank DVD disc. Image file, Speed (better 24x), and Copies = 1 (depend on) -> Start. K3b can use to create ISO Image file.